It looks like President Obama has gotten enough of being the Republicans pinata and has decided to give his base something they can sank their teeth into. Finally realizing that the compromising route wasn't working for him, the President laid out a plan that would reduce the deficit by $3.6 trillion while increasing taxes on the wealthy. Predicting that the Republicans would frame his plan as class warfare, he quickly addressed the issue. 'This is not class warfare,' he said. 'It's math.' Adopting what is now being called the 'Buffett Rule', the President is looking to increase revenue by raising taxes on the super wealthy as well as making sure corporations pay up. 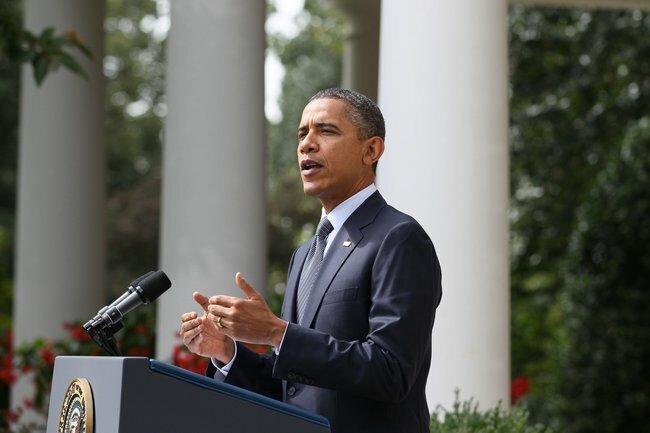 The President vowed to veto any plan that relies solely on spending cuts to reduce deficits. "I will not support any plan that puts all the burden of closing our deficit on ordinary Americans," Obama said. "We are not going to have a one-sided deal that hurts the folks who are most vulnerable." It looks like the Prez has put his Populist clothes on. Let's see if this strategy works out for him. I think this plan will work well for him and families like my own who aren't anywhere near rich. It is time that rich people pay their fair share of taxes. It doesn't make sense that the people who make the least amount of money get stuck paying the most in taxes. If all the lower and middle class people backed him on this, I'm sure that it would pass Congress with minimal interference.